It’s the Weiss Family Mitzvah Orchestra. Such a wonderful group of musicians! Every single one of them is a mentsh. Well, sort of. They are musicians. Hershel, Gertrude (mother), Debra, Florence, Elsa (seated on the ground), and Alvin (father). 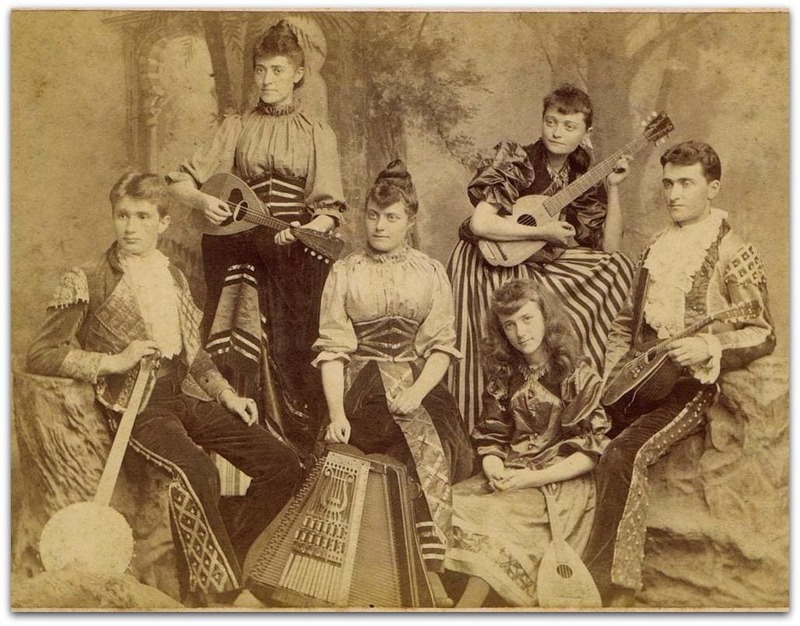 The three daughters left the band to form their own group. There was a big rumor that Elsa was not Alvin’s daughter. Alvin was on tour with a klezmer band for 3 months, got home to find out Gertrude was 2 months pregnant. By the way, Boris dated all three daughters at the same time. There was also a rumor that Elsa was Boris’ daughter.